This title lies. Though the desperate, clinging search for love is what drives this book’s protagonist, this isn’t much of a romance. Romance isn’t even the point. More important than the boy-meets-girl drama that keeps the characters in Super Sad True Love Story busy is the setting in which all of this happens – a self-obsessed, totalitarian America of the future that is about to die. It’s a country and culture in all ways bankrupt: in which everybody wants to be a teenager, in which Facebooking permeates every aspect of real life, and in which the Chinese are the debtmasters of the United States. In other words, it’s frighteningly plausible. Anchoring this bleak vision is a pudgy old schmuck named Lenny, a spinster in his late 30s who is as pathetic a specimen as can be found in these slick ruins. He spends his days selling the promise of immortality to “High Net Worth Individuals” while simpering toward his boss, an old man made young whom Lenny has elevated into a father figure. He also reads, which has become a serious social taboo. His ratings in Personality and Fuckability – both real and legitimate assessments in this world – are doomed to always be low. Yet in the midst of an exile to Rome – a place which, he notes, has accepted its decay with dignity – his life changes. While wading through all the resigned, mechanical hedonism of the place, he meets Eunice Park, a hot mess of baggage who nonetheless inspires Lenny to never die. In a match of convenience, Eunice moves into Lenny’s New York pad, and they begin an awkward, bumbling relationship. The purpose of their union is not to incite Lenny and Eunice to grow together, but rather to refine their senses of alienation while around one another. Part of this separateness comes from the fact that almost everybody in this story is disgustingly loathsome, yet another key reinforcement is the fact that both are children of immigrants (Lenny is Russian Jewish; Eunice is Korean). Their America has become increasingly unfriendly to new faces, and so their parents are breathing reminders that they do not belong. It’s oddly appropriate that Eunice’s family causes more damage to her than Lenny’s does to him, yet she is the person who better fits in with the pricks and sleazes. Nonetheless, both ultimately act on their estrangement, and while they come to different conclusions they both become better for the change. 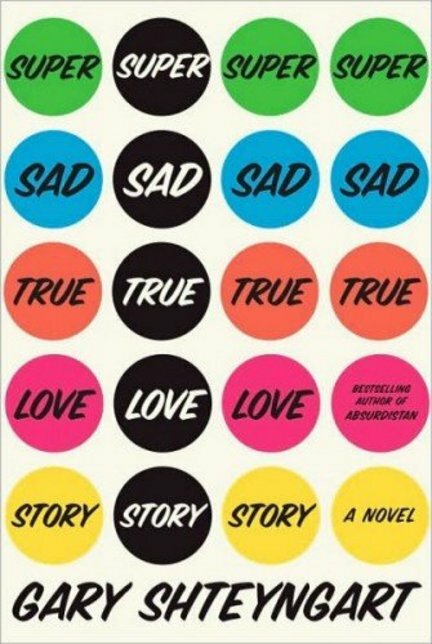 Super Sad True Love Story certainly qualifies as a sharp satire of the current (and probable) state of American culture. Yet there’s an urgency to its depiction of America’s last shuddering moments that gives it an unexpected weight and sympathy. It’s this end which proves most fascinating.